We stand behind everything we sell. If at any time your CHANDLERY purchase does not meet your expectations, you can return it for a replacement or refund except as noted below. If you are a West Advantage Rewards member, you don’t even need a receipt – we’ll have a record of your purchase. We do carry a few items that cannot be returned: items with expiration dates that have expired such as flares, charts, annual publications; items registered to the user such as boats, motors, EPIRBs, PLBs, SPOT, Class B AIS, life rafts; customized items such as rigging, and boat covers; computer software, electronics charts, and carry-on air conditioners. For electronics we will help you contact the vendor for assistance or repair. If you are not a West Advantage Rewards member, we will first need to verify your purchase by receipt or other method. Returns made within 30 days of purchase will be refunded with the type of payment used in the original sale. Please allow up to 14 business days for a refund to be posted to your credit card account from the date a refund is processed. If a refund is requested after 30 days, or if you do not have a receipt and we verify the original purchase, your refund will be made in the form of a CHANDLERY Gift Card. We can return funds only to debit cards with the MasterCard or Visa insignia. We will issue a West Marine Gift Card for purchases made using other debit cards. 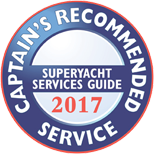 Also, you may elect to receive either a Melita Marine Ltd check or gift card for refunds over €100 for original purchases made by cash or check. If you are close to our Store you can return or exchange product in that Store. Step 1: Repackage the item in its original packaging. We will replace defective units and exchange for the same model and style only. Step 2: Go to the local store and present them with your original receipt. If you are a West Advantage rewards member, you don’t even need a receipt – we’ll have a record of your purchase.